Mobile Deposit allows members to deposit checks using their F&A iPhone or Android Mobile Banking app. 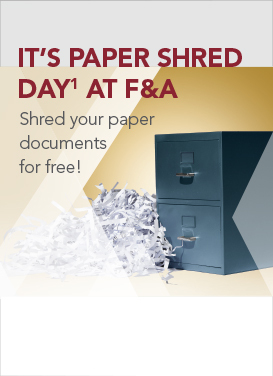 F&A does not charge a fee for members to use Mobile Deposit, although wireless data rates may apply. Check with your wireless carrier. There may be fees associated with this service for adjustments made due to inaccurate information entered. Please see our Schedule of Fees and Charges for a list of fees. Do I have to be a member of F&A to use Mobile Deposit? Yes, you do need to be a member of F&A to use Mobile Deposit. Do I need a checking account to use Mobile Deposit? Yes, you need a checking account to use Mobile Deposit. 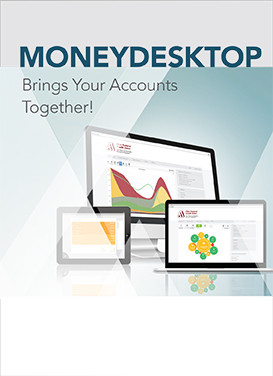 Is Mobile Deposit available to all F&A members? No, Mobile Deposit is not available to all members at this time. If you are eligible for Remote Deposit in Online Banking you will be eligible for Mobile Deposit. How would I know if I am eligible to use Mobile Deposit? If you see the Remote Deposit link inside of Online Banking under Online Services you are eligible for Mobile Deposit. If you have not enrolled in our Remote Deposit through Online Banking you will need to do so before being able to use Mobile Deposit. Do I have to enroll in Mobile Deposit before I can use it? Yes before using Mobile Deposit you will first need to accept the disclosure presented. Once that is completed you may proceed to Mobile Deposit to make deposits. What is the difference between Mobile Deposit and Remote Deposit? Deposits made via Mobile Deposit are done so by entering information and taking pictures of both sides of the check(s) using our iPhone or Android mobile banking app to complete processing. These checks do not need to be mailed to F&A, should be marked "Deposited at F&A and the date", and stored securely for sixty (60) days before destroying. Deposits made via Remote Deposit are done so by entering information from the check(s) in our Online Banking Remote Deposit service. These checks need to be mailed to F&A to complete processing of your deposit. I do not see Remote Deposit under Online Services in Online Banking, how do I become eligible? You may contact our Telephone Service Center at 800-222-1226 to see if you can become eligible, but members must be at least 18 years of age, with an open checking account, account in good standing and their membership open for at least 6 months. Custodial and non-individual accounts are not eligible. Can my Mobile Deposit eligibility be revoked? Yes, the Credit Union reserves the right to revoke your Mobile Deposit eligibility without prior notice. Minimum operating system requirements are either an iPhone iOS 4.4 or an Android 2.2 or later equipped with a camera. Am I able to use Mobile Deposit from the Mobile Browser? No, Mobile Deposit can only be used from either our iPhone or Android app. Yes Mobile Deposit is secure since you must login to access the service and passwords are not saved on the App(s). Will the pictures of checks be saved to my phone? No the pictures you take of checks to deposit will not be saved on your phone. Can I deposit to any of my share accounts? Yes, you can deposit to any of the share accounts you are joint on that appear in Online Banking or Mobile Banking. Do I have to endorse the back of the check(s)? Yes it is highly recommended that the back of your check(s) are endorsed to avoid errors depositing or items being returned. After a successful deposit we suggest writing "Deposited at F and A Federal Credit Union and the date". How can I see the checks I have deposited? Checks deposited through Mobile Deposit can be viewed by accessing the Mobile Deposit menu option on our Mobile Banking iPhone or Android App and selecting View Remote Deposit History. Sixty (60) days of history will be available to view. For checks deposited after 60 days, you will need to contact our Telephone Service Center at 800-222-1226. Why can I not see the check I deposited to my linked accounts? At this time you are able to deposit into your linked accounts, but due to system limitations you cannot view the check image under View Remote Deposit History. You may login to that linked account (if eligible) via Mobile Banking and View Remote Deposit History under that actual account login. For a copy of a check deposited into a linked account you will need to contact our Telephone Service Center at 800-222-1226. What should I do with the original check after I have deposited it? F&A recommends marking the date the check was deposited under your endorsement and keeping the check(s) you have deposited in your Mobile Deposit check envelope we provide or in a secure place for at least sixty (60) days. After sixty (60) days checks may be securely destroyed. 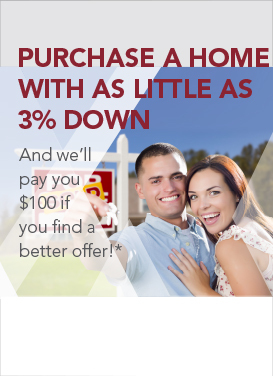 Will there be a hold placed on my deposit? Holds may be placed an any item larger than $5,000.00 or if your check needs to be reviewed for any reason as deemed necessary by F&A before being released. How quick will funds from a deposit be available? 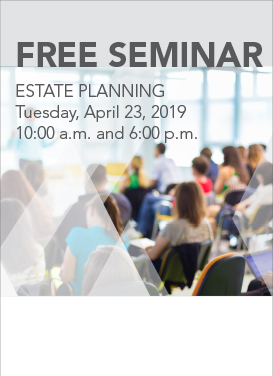 Funds should be available immediately after deposit, but in some cases there may be a hold placed on a check as deemed necessary by F&A or a two (2) business day hold on items larger than $5,000.00. Are there daily deposit limits? Yes, there is a daily deposit limit of $100,000.00. The check I deposited is not showing in my available balance, why is that? There may have been a hold placed on the check or your check may need to be reviewed before you can be given credit due to triggering a risk factor. Why was my Mobile Deposit deposit rejected or adjusted? All Mobile Deposit deposits are reviewed to verify information is legible and accurate. In some cases when the image is transmitted to F&A it can become blurry or unreadable and will need to be re-deposited with better pictures to complete processing. Checks payable to third parties should not be deposited via Mobile Deposit and can be rejected. Adjustments may be made to dollar amounts when the legal written amount differs from the numeric amount. For all rejected or adjusted checks an email will be sent notifying you what has been done and the reason why. Why did my deposit request time out? From time to time during the transmission of the check images and information the process may take longer than normal to complete and give a time out message. Should this occurs please check Mobile Deposit History to verify if the request did finish processing before resubmitting. How do I view my Mobile Deposit images? To view your Mobile Deposit image through mobile banking please login, click on Check Deposits, click on History, select the deposit you would like to view, and click on Front or Back next to Check Image. To view your Mobile Deposit image through online banking please login, click on All Services, click on Deposit Checks, hoover over the Deposits tab and select View History, click on the magnifying glass next to the deposit you would like to select, and click the check icon or magnifying glass to view the image. Why was my Mobile Deposit rejected for image cut off? 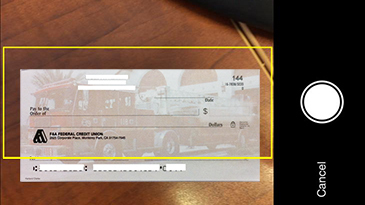 When taking a picture of your check please make sure the entire image is within the yellow or red frame that is provided on the screen. For best practices capture part of the desk or table the check is laying on within the frame to ensure you have captured all four corners of the check. We are not able to process a check that is missing the payer name, check number, payer signature, or the bottom MICR information. Below is a sample of a deposit that would be cut off if it was submitted to us for processing. Why is my State of California check not being accepted? Currently the images for the light pink or light blue State of California checks are not being captured by the Mobile Deposit program. It is stating the error ‘Unable to process the check image. In a well-lit location, place the check on a dark non-reflective surface and make sure that the entire check is visible in the camera.’ It will not accept these checks no matter what surface is being used. To deposit these checks please use Home Deposit and mail the check to us to complete processing or you may visit one of our branches, shared branches, or CO-OP ATMs.